Jacob Hunt is a teenage boy with Asperger’s Syndrome. He’s hopeless at reading social cues or expressing himself well to others, and like many kids with AS, Jacob has a special focus on one subject—in his case, forensic analysis. He’s always showing up at crime scenes, thanks to the police scanner he keeps in his room, and telling the cops what they need to do…and he’s usually right. But then one day his tutor is found dead, and the police come to question him. All of the hallmark behaviors of Asperger’s—not looking someone in the eye, stimulatory tics and twitches—can look a lot like guilt to law enforcement personnel. Suddenly, Jacob finds himself accused of murder. 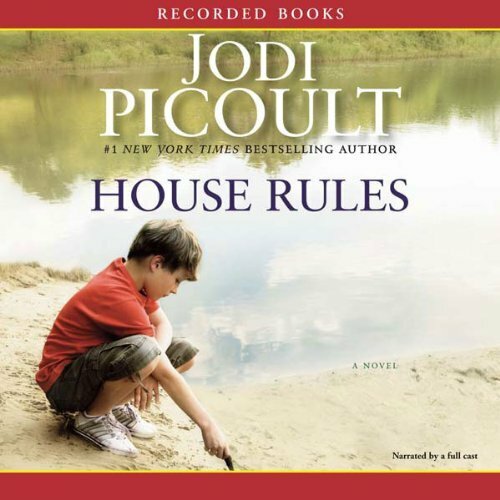 Emotionally powerful from beginning to end, House Rules looks at what it means to be different in our society, how autism affects a family, and how our legal system works well for people who communicate a certain way - and fails those who don't.